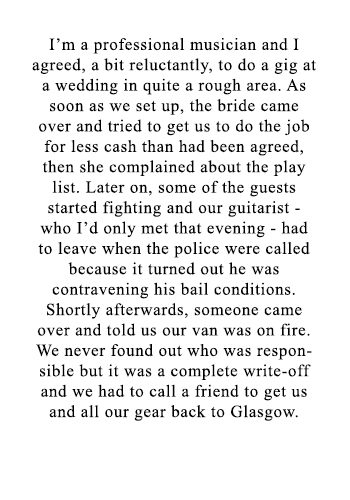 This unique collection of real life Scottish wedding stories and anecdotes (the result of interviewing hundreds of brides, grooms, guests and wedding service providers, plus combing the internet and other media) will have you crying with laughter or gasping with horror. 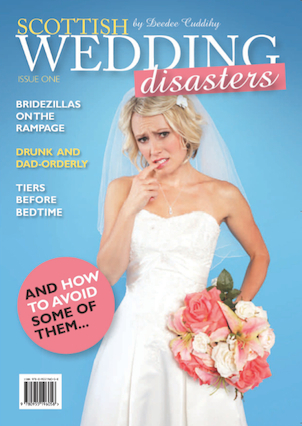 A must read for anyone who wants to ensure their wedding doesn't turn into a total disaster! It's unfortunate that the police got involved. It was hellish seeing my bride taken off in handcuffs.